The mysterious Kazunao Nagata runs the somewhat mainstream dance-music label Transonic and plays in the rather friendly drum'n'bass/techno/disco band Fantastic Explosion. 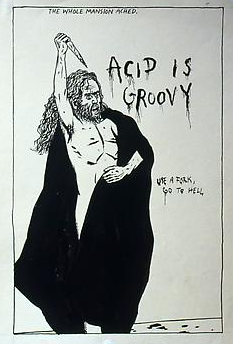 But if that's all he did, his four solo albums would not be here at Bleak Bliss. For a short while in the late 1990's, Transonic had a small sub-label called Zero Gravity, which produced a handful of albums that are unlike any other music I can think of. All are adorned with impeccably-designed cover art that resembles a mid-1970's conception of what the future might look like, bold colors set on (mostly) white backgrounds, almost menacingly sterile. The music is maybe an outgrowth of ambient techno, but taken in a direction that no other travelers have followed. 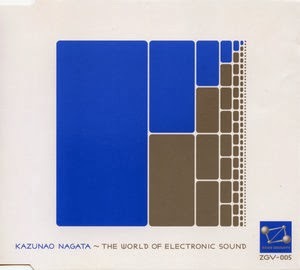 Nagata himself only ever made four solo albums, all published on Zero Gravity and all titled The World of Electronic Sound. The first one is the most normal (relatively speaking, anyway), but the next three veer off into territory for which there are no adequate descriptive words. The sounds are as stark and brutally clinical as the graphic design, and yet... somehow... there's something else happening. I'm not sure what it is. It's a shame Nagata didn't make any more albums like these... as far as I can tell, he only does the techno thing these days. But I suppose if you make four albums as fascinating and inscrutable as these, you've earned the right to sit back, take it easy and make disco for awhile. Thank you so much for posting this music! Zero Gravity is amazing - I hope there are more ZG posts planned. And thanks for Nerve Net Noise, too - one of my absolute favourites. Did you see they've just released a new cassette? Oh yes, there are many many more Zero Gravity (and ZG-related) titles to come. And yes, the new Nerve Net Noise tape is excellent! WIth... saxophone?! thank you for all the analog synth madness lately.i love this stuff.